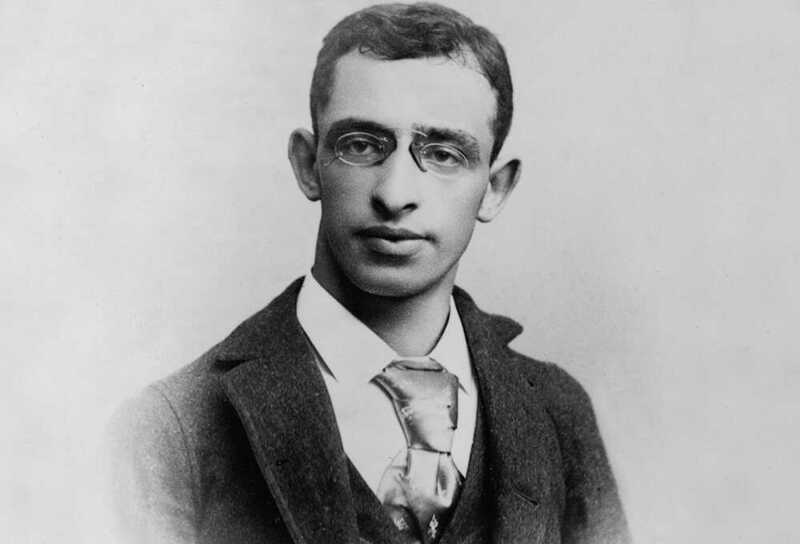 Alexander Berkman, known by the Russian diminutive "Sasha," was born in Russia in 1870 to a family of merchants with ties to the nihilists, a political group who rejected all established authority. He modeled himself after his uncle, the Russian revolutionary Mark Andreyevich Natanson. A brilliant student, Berkman attended a classical gymnasium in St. Petersburg. "One day... a bomb exploded outside," shattering the classroom windows, according to historian Richard Drinnon. "He and his classmates soon learned that Czar Alexander II had just been assassinated." Young Berkman, the child of a political family, saw the assassination in ideological terms. By the time he was fifteen, Berkman was an avid reader of revolutionary literature. School authorities eventually expelled him, for an essay titled, "There Is No God." He became interested in anarchism after reading about the execution of Chicago's Haymarket anarchists in 1887, and immigrated to America in early 1888, at age 18. In New York, he frequented German and Jewish anarchist meetings while working as a typesetter for Johann Most's newspaper, Freiheit. Berkman met Emma Goldman in 1889 at Sach's Café on Suffolk Street, the unofficial headquarters of young Yiddish-speaking anarchists in New York City's Lower east Side. Goldman remembered him as having the "neck and chest of a giant. His face was almost severe. A determined youngster." "Their love and attraction would become the emotional center of both their lives," wrote historian Candace Falk. Though their romantic episodes were fleeting, they would remain lifelong comrades. In July 1892 in response to the Homestead steel strike and attending violence, Berkman made an unsuccessful attempt to murder Henry Clay Frick, general manager of the Homestead steel plant. 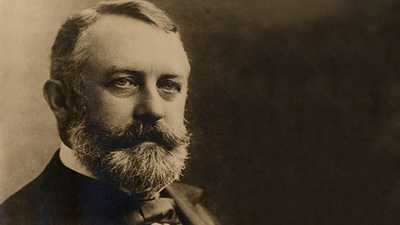 Berkman held Frick responsible for the killing of seven locked-out workers by the Pinkerton Detective Agency. Sentenced to 22 years in prison, Berkman served fourteen years behind bars. In prison he helped edit a secret journal, Prison Blossoms, a prelude, perhaps, to his classic account of prison life -- Prison Memoirs of an Anarchist -- published in 1912. In 1906, Berkman was released from prison. He soon suffered a minor breakdown, but by March 1907 he had become editor of Emma Goldman's magazine Mother Earth, a position at which he excelled. Together with Goldman, Berkman helped form the Ferrer School (Modern School) in 1910, becoming an inspirational figure to some of the children who studied there. He was also a key organizer of New York's unemployed during the bleak winter of 1913-1914, working closely with the Industrial Workers of the World (I.W.W.). Berkman felt a sense of accomplishment, perhaps some degree of happiness, in these post-prison years. But then came Ludlow. In 1914, federal agents set fire to a tent colony of miners on strike against the Colorado Fuel and Iron Company in Ludlow, Colorado. Cries for vengeance filled the anarchist press. Margaret Sanger's magazine, The Woman Rebel, called on all radicals to "Remember Ludlow." Berkman's anger overflowed. He vowed to organize a demonstration outside the house of the man who had controlling interest in Colorado Fuel and Iron, John D. Rockefeller. "Ludlow, with its Pinkertons and militia and killing of workers, was a repetition of Homestead, and Rockefeller another Frick," wrote historian Paul Avrich. "Although twenty-two years had elapsed, all the indignation came rushing back. 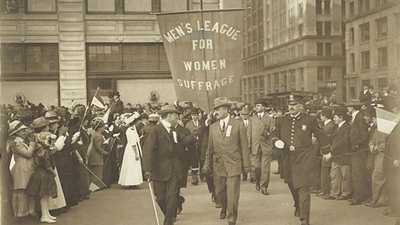 The idea of carrying the protest to Rockefeller's back yard originated with Alexander Berkman." Evidence also suggests that Berkman was the main organizer of a planned bomb attack on Rockefeller. An anarchist concept of the era, "propaganda of the deed, " held that a violent terrorist act could become a catalyst, awakening others to take action against perceived injustice. In this case, the bomb exploded prematurely at a tenement building on Lexington Avenue in New York City, killing three anarchists and a sympathizer. Berkman published an emotional outpouring for the "martyrs" of the explosion in the July issue of Mother Earth. Goldman, who disapproved of the use of terror, was outraged. Differences with Goldman caused Berkman to leave Mother Earth and New York a month later. He moved to San Francisco and started a publication of his own, a magazine he named The Blast. During World War I, Berkman signed the International Anarchist Manifesto, an anti-war document issued from London. He helped found the No-Conscription League, speaking publicly against the war and the new draft law. Federal authorities arrested him and Goldman in June 1917. Found guilty of conspiring to violate draft laws, Berkman was sentenced to two years in the Atlanta Federal Prison. During the infamous Red Scare in December 1919, the U.S. government deported Berkman from America to Russia together with Goldman and more than 200 other people. Before he and Goldman left the country, they co-wrote the pamphlet Deportation: Its Meaning and Menace. Berkman would never return to America -- nor did he want to. On January 19, 1920, after crossing snow-blanketed Finland in sealed railroad cars, Goldman, Berkman, and the other deportees reached Soviet Russia. Berkman felt he had returned home. "The revolutionary hymn, played by the military Red Band, greeted us as we crossed the frontier," Berkman later wrote. "The hurrahs of the red-capped soldiers, mixed with the cheers of the deportees, echoed through the woods, rolling into the distance like a challenge of joy and defiance. A feeling of solemnity, of awe overwhelmed me." Berkman's awe was not to last. In March 1921 the Bolsheviks ruthlessly suppressed a revolt of the Kronstadt sailors who had helped bring them to power in 1917. After trying to comprehend the repression they had witnessed growing in Russia, this was the final straw. Berkman and Goldman left the country in December 1921. 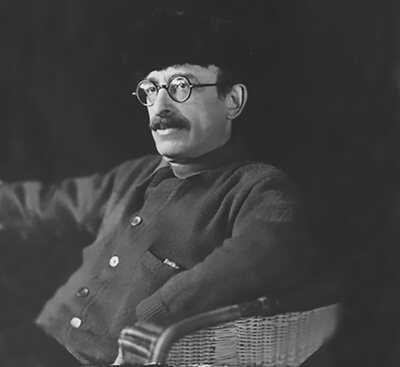 Alexander Berkman wrote his eloquent response to events in Russia in two pamphlets, The Kronstadt Rebellion and The Russian Tragedy (both 1922), and in a pair of books published in 1925, The Bolshevik Myth and The Anti-Climax. In 1925, Berkman moved to France, where he lived for the rest of his life in difficult circumstances. After his expulsion from the U.S., he could never get citizenship papers. He found occasional work typing manuscripts, editing and translating. He translated Eugene O'Neill's Lazarus Laughed into Russian, for example, and provided assistance to Isadora Duncan on her autobiography, and to Emma Goldman on hers ("The manuscript, after I correct it, looks worse than an ordinary battlefield. I hope she'll never write another book. No such luck," Berkman said of Goldman's book.) Still, he was often dependent on donations from American comrades just to survive. Berkman's life was further complicated by threats of expulsion by the French government. Relying on a galaxy of friends, writers and intellectuals, including Albert Einstein, Thomas Mann, John Dewey and Bertrand Russell, he barely managed to hold sway. His one anchor in exile was Emma Goldman, with whom he kept in almost daily correspondence. Several hundred of their letters were collected and published by Richard and Anna Maria Drinnon in Nowhere At Home: Letters from Exile of Emma Goldman and Alexander Berkman. In 1929 Berkman published Now and After: The ABC of Communist Anarchism. Written in a conversational style, the book soon became a classic of anarchist thought. In 1936 he underwent two serious operations. On June 28 of that year he shot himself, a result of the pain he could no longer tolerate, and because he was unable to support himself financially and refused to live off the support of others.